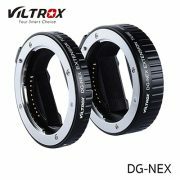 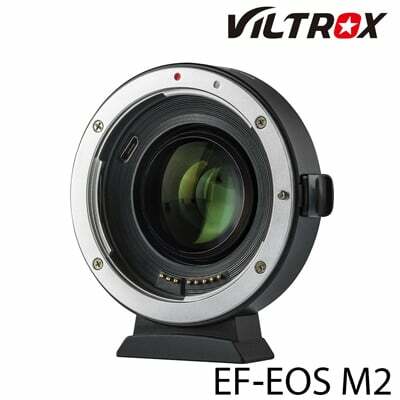 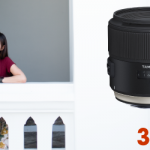 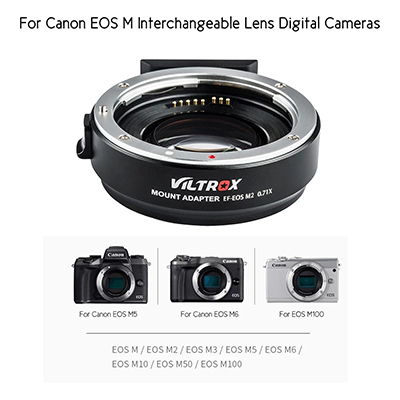 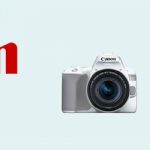 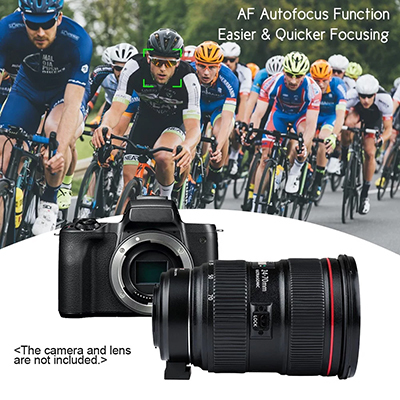 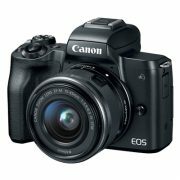 Viltrox EF-EOS M2 Auto Focus Lens Mount Adapter | กล้อง เลนส์ EC-MALL.COM "ร้านกล้องที่คุณวางใจ"
Viltrox EF-EOS M2 mount is designed to allow Canon EF-mount series lenses to be used on interchangeable-lens digital cameras that compatible with EF-M lens. 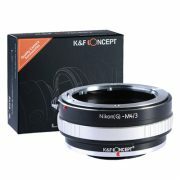 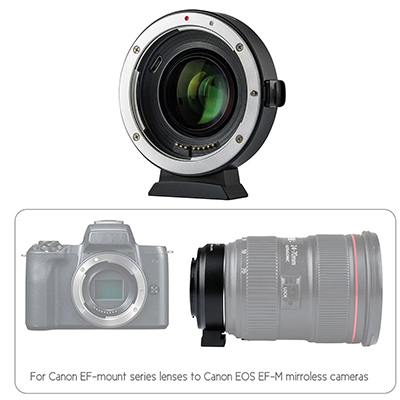 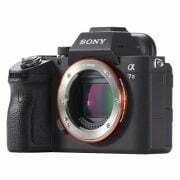 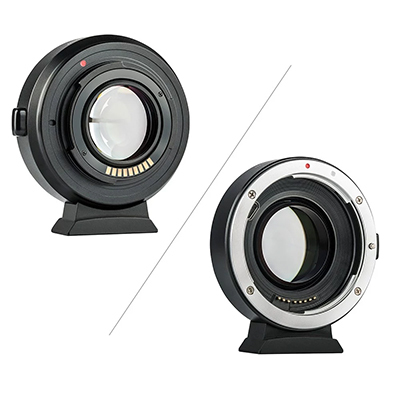 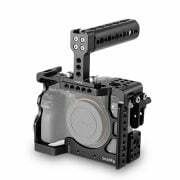 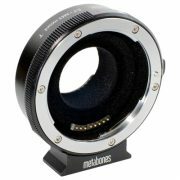 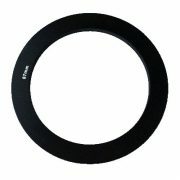 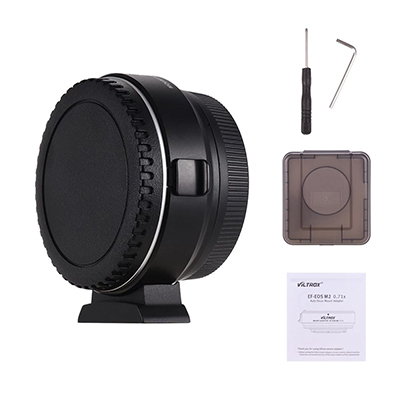 Lens mount adapter for Canon EF-mount series lenses to Canon EOS EF-M mirroless cameras. 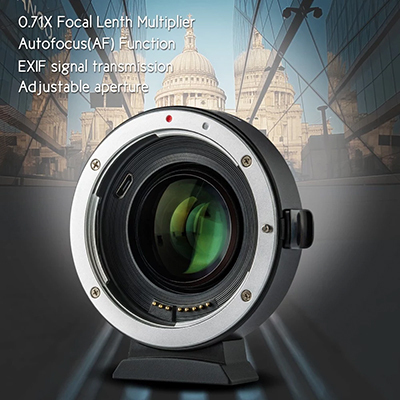 Focal length is multiplied by 0.71 based on the original (equivalent focal length = focal length x 0.71), which helps enlarge 1 level aperture. 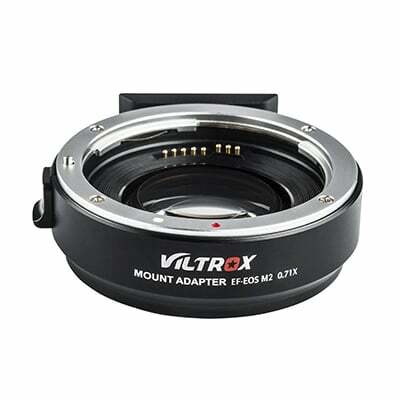 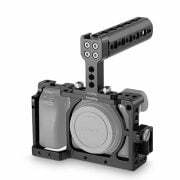 By adapter mounting it can achieve functions of EXIF signal transmission, AF(autofocus) and adjustable aperture,etc. 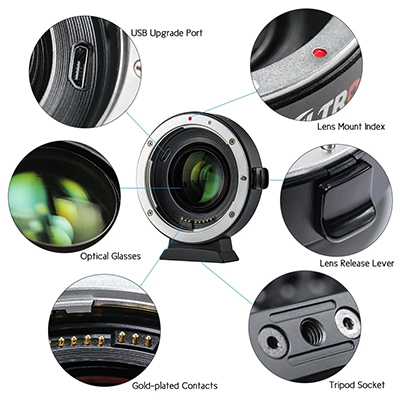 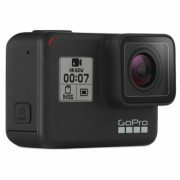 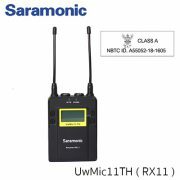 Built in 4 groups,4pcs optical glasses; supports firmware upgrade via the USB port. 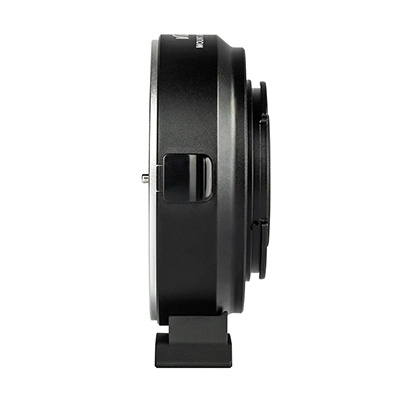 Zinc alloy material, durable and sturdy; with 1/4 inch screw hole at the bottom, can be installed on the tripod or other fixed bracket easily. 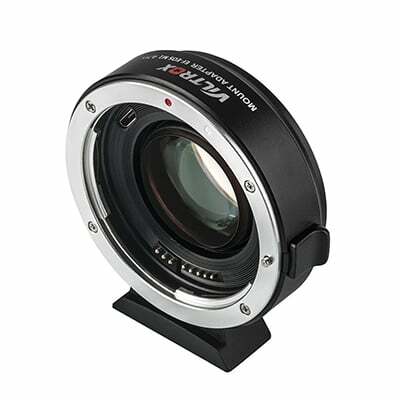 This lens mount adapter is not compatible with EF-S mount lenses.